When a needy family with a sick child came to United Church Outreach Ministry (UCOM), program director Shawn Keener knew providing food would be the first step toward helping them. The family’s apartment, she soon learned, was riddled with mold. UCOM began to seek new housing for them, but soon into the search, their child died. As the family grieved, UCOM was able to offer support and counseling while meeting their basic needs. 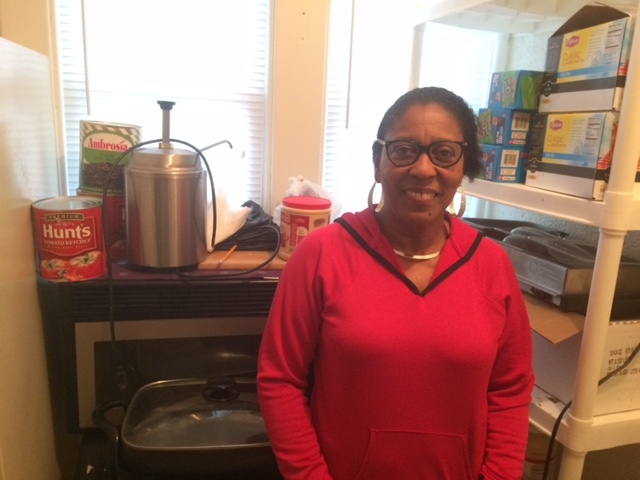 Because UCOM, a small nonprofit with a limited budget, gets much of its food from Feeding America West Michigan (FAWM), they are able to help families like this one- not only by feeding them, but by supporting them in other ways. 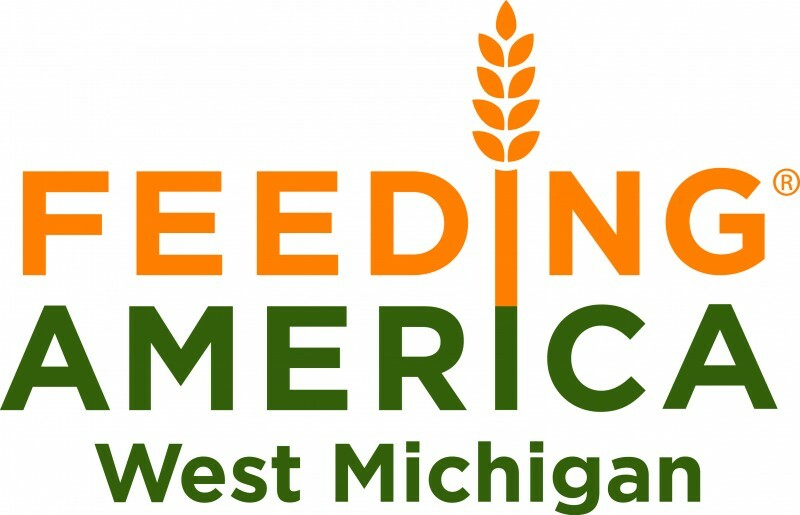 Feeding America West Michigan has served those in need since 1981, striving to provide safe food for the hungry in the community. But many people who want to help the hungry are unaware how much nonprofits such as UCOM need FAWM. While FAWM is not a food pantry itself, it acts as a middleman between surplus food suppliers and hundreds of local pantries. 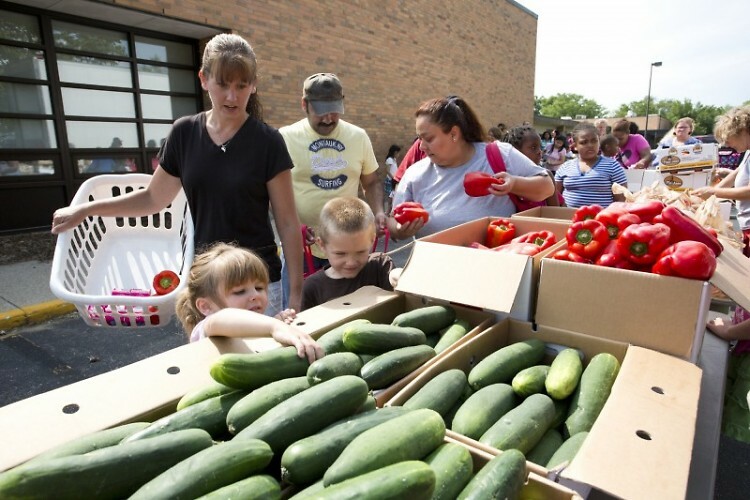 Many pantries are too small to store as much food as a supplier would offer them; because of this, they would instead need to use expensive options such as Sam’s Club or Meijer. Money donated to FAWM purchases a larger quantity of food than it would at the store, allowing area food pantries to receive the cheapest options possible. Having Feeding America around, according to Keener, allows pantries to live in harmony with each other. 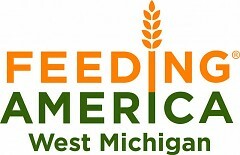 “We wouldn’t be able to stay under budget on our food costs if we didn’t have Feeding America,” says Jeff Hoyh, programs manager of God’s Kitchen, an agency of Catholic Charities West Michigan that provides lunches to the needy of the Heartside neighborhood, many of whom are homeless. Executive Director of North Kent Community Services Claire Guisfredi says her agency uses FAWM during the summer to provide lunch bags for hungry children. “I talked to a mom who was really grateful for the food bags because, she said, ‘my kids aren’t eating at the schools in the summer.’ She had three children and they go through a lot more food and it’s really tough when she only has a certain amount of money,” says Guisfredi. “We’re really glad [FAWM is] around."